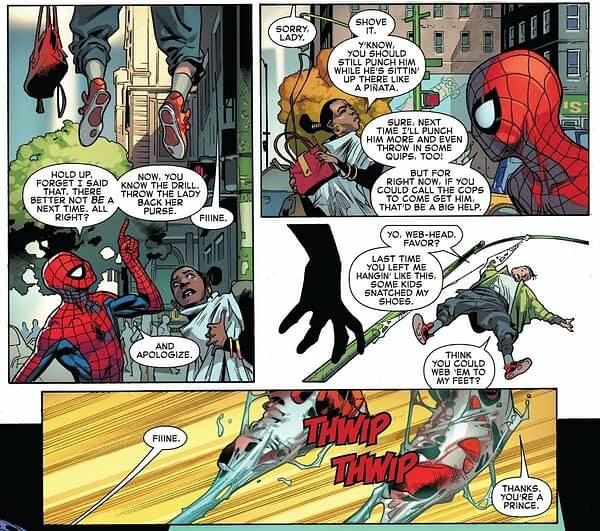 Spider-Man's Tackling of Street Crime is Rather Ineffective - How's That Great Responsibility Holding Up? Home » BC Network » Recent Updates » Spider-Man’s Tackling of Street Crime is Rather Ineffective – How’s That Great Responsibility Holding Up? Spider-Man’s Tackling of Street Crime is Rather Ineffective – How’s That Great Responsibility Holding Up? 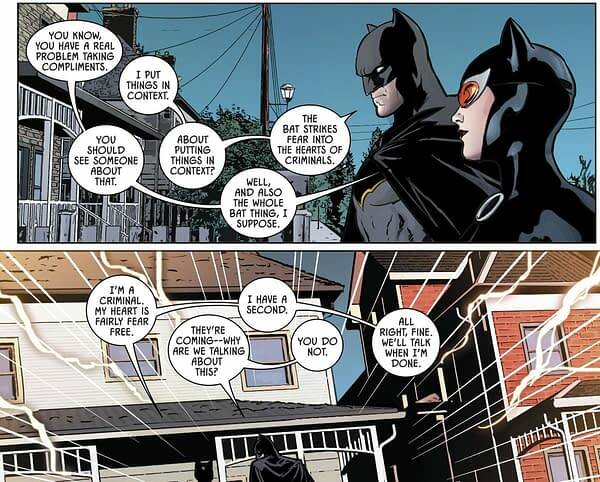 …and Catwoman laughs, Spider-Man seems to be going for something different. When Stan Lee first proposed a Spider-Man character, the idea is meant to have been knocked back by publisher Martin Goodman as being too creepy, eventually after much nagging, being added to the final issue of an anthology comic, Amazing Fantasy. He was a hit, and scored his own series. But despite the ‘ickiness’ of spiders, most people have ended up not being that afraid of Spider-Man. And in New York City? That means muggers are just taking the piss. Spider-Man is just an inconvenience, he’s an obstacle to be — or not to be. Five times Spider-Man has webbed him up for the cops. Four times that Jimmy is back on the streets as a recidivist. Surely Jimmy would have been dealt with more severely by now? Or… and this is just a thought… does Spider-Man’s intervention and subsequent disappearance mean that Jimmy walks every time? Even the lowliest of public defenders might be able to make a case of false imprisonment, and that Jimmy himself is the victim here. And Spider-Man has swung away. How does this reflect on Spider-Man’s very first action, letting a thief go, only for that thief to then shoot his Uncle Ben? That was the moment that saw Peter Parker reflect that with great power, there must come great responsibility. Well, by being part of a system that constantly puts Jimmy back on the streets to rob again, how is that great power doing? 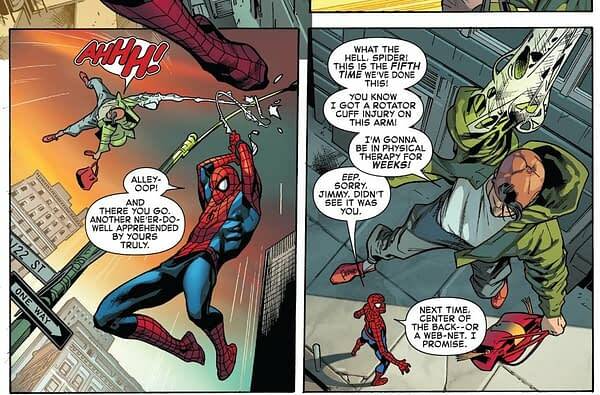 How responsible is Spider-Man for Jimmy’s future crimes? Maybe fighting for increased gun control laws might be a more effective use of his great power?